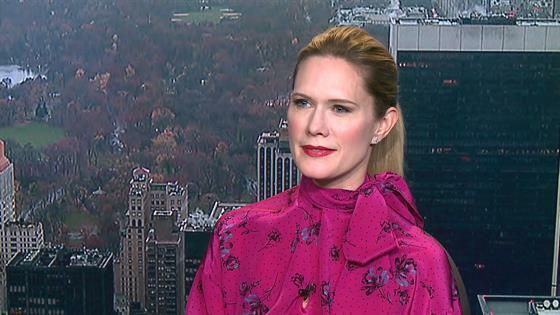 Law and Order: SVU holds a special place in Stephanie March's heart, it was one of her first on-screen role after all. The actress, who starred as ADA Alex Cabot from season two-five and made various guest appearances over the years, returns to the drama on Wednesday, April 18 for the first time in six years. "If you asked me the first time around, when I first left initially, what it meant to me, I would say, ‘Well, this was a terrific experience and what a great way to start," March said. "And now that I have participating in other projects and my wife as really come around…I think I was 26 or 27 when I did my first episode and now I'm 43. "To be able to revisit a role at this point in my life, the same character and to bring all of this new information I have as an actor and a person to the same role is such a treat. And I don't think many people have the opportunity to do that and I feel so grateful for it." Right now March's appearance is just a one-off, but would she return to the special victims unit? "The quick answer is yes," March told us. "I would not want anyone to feel forced to do so. I have the ultimate respect for the people who are on the show, it's been running just fine without me, but I really missed it and it's been a tremendous honor to be back." Click play on the video above for more from March. Law & Order: SVU airs Wednesdays, 9 p.m. on NBC.